It can be said that not many movies stay with you long after their scheduled run, and the ones that do, do so, for those innumerable emotions that they invoke, for those countless ways that they connect and for those mysterious ways, that they well up the hidden feelings. While writing for a song for the movie Subhasankalpam, Sirivennela summed up the power of those alphabet associations that stir up the above, from deep within, thusly - "evaru iccaarammaa inni akshaaraalu, aksharaala venaka inni ardhaalu, ae daevata iccindO inni varaalu, vippi naenu ceppalaenu aa vivaraalu". Add to that word association, the right context, the perfect emotion and a good deliverer - the words start breathing and assume a life of their own. And if a movie stood up to become the torchbearer to this renaissance of good taste and this resurrection of good quality, it is, arguably, Nuvve Nuvve. Characterization has found a new home at Trivikram's. The ability of a character to talk sensibly, convince the audience of its convictions and motives, make them sympathize with its actions, be it the protagonist or the father's character, are some of the characteristic traits that Trivikram has mastered over the past few movies, and his skill has reached a new pinnacle with this movie. Rounding off every plot point, logical explanation behind each action, lack of any extraneous behaviors, a pragmatic approach to every problem and a practical view at what life (of the characters) has to offer, not only brings them closer to the audience, but also endears themselves to the same in the process. The two dimensions, action and reaction, that usually define a Telugu movie character, has been bestowed upon a third and an important dimension - emotion and the words that props it. The skill at finding this new angle within every character that greets us on the screen, is something that Trivikram has honed with each passing movie, and it touched a new zenith in Nuvve Nuvve. This movie is a triangle of sorts involving a possessive father, his torn daughter and her optimistic lover. An intelligent adaptation of the Hollywood movie "Say Anything", Nuvve Nuvve feels anything but a native Telugu movie, thanks for the extra care that Trivikram has put in, shaping the characters to perfection. Prakash Raj stands out as the hero of the movie, finely balancing his emotions between an over-bearing father and an over-protective parent. If, at no point, his character feels as one with a negative touch, as one that has marks of villainy in it, it is because of the humanization (not to be confused with the humanity) that he brings to the character - a locked brow here, a sly smile there, a silly smirk here and a broad laugh there - Prakash Raj seems born for the part and he practically lives the character. Subtlety in the dialogue delivery, hand gestures indicating his inner turmoil, facial expressions conveying the deep schism between his love for his daughter and the dislike that he developed towards her lover, are just some of the many tools that he brings to the table. It would be a grave injustice to the acting fraternity, should he not be awarded the best actor award (not best character award, as is the general tendency) for Nuvve Nuvve. Tarun comes in a distant second, comparatively, with another good performance. His ease with the spoken language coupled with a confident body language, makes him a nice fit with the character that he portrays on the screen. The gradual transformation of his character from a carefree one to a caring one, ably supported by those fantastic words from Trivikram, seems genuine, heart-felt and sincere. The slight differences between the boyish charm that won over his lady and the same boyish charm that earns the wrath of her father was effectively conveyed through the careful intonation and his skillful modulation. If shaping up a character, through a series of words on paper, is one thing, bringing the character to life on the screen, without missing the minute details on paper - a clenched jaw here, a glinty eye there, a soft-spoken character here, a earnest figure there - Tarun appeared as what was exactly conceived in ink. Rumored as completely storyboarded, Nuvve Nuvve has some nice imaginative shots and angles, thanks to deft handling of the camera by Hari Anumolu and crisp cutting by Sreekar Prasad. The two-shot sequences involving either the lead characters, or the confrontation sequences between Tarun and Prakash Raj, were choreographed to squeeze maximum mileage out of the situation - consider the letter-grabbing episode involving Tarun and Shriya, or the one at Annavaram when Shriya rests on her father's shoulders or the fine camerawork in the campus scenes. Koti and Sirivennela contributed their mite and might in bringing out a well refined, mature and an entertaining product. 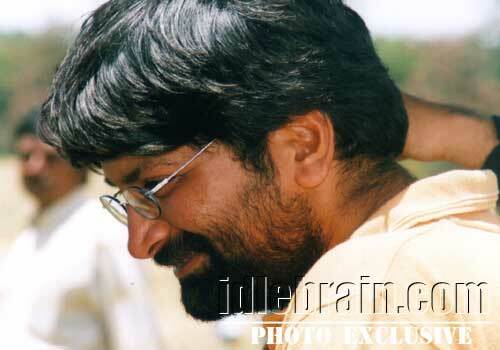 If what Trivikram has showed us in Swayamvaram, Nuvve Kaavali, Chirunavvuto and Nuvvu Naaku Naccav, were to be considered as just a tip of the proverbial iceberg of his insightful and observant nature of the characters, if what Trivikram made us feel, delving into the depths of the characters in Nuvve Nuvve, if what Trivikram has demonstrated in his dramatic prowess and comedic timing in all the aforementioned movies, were just initial forays decimating the dullness and the dreariness that is plaguing the current telugu film character, assuring us that his best is yet to come, then we are in for some great treat for times to come. Tell Srinivas Kanchibhotla how you liked the article.